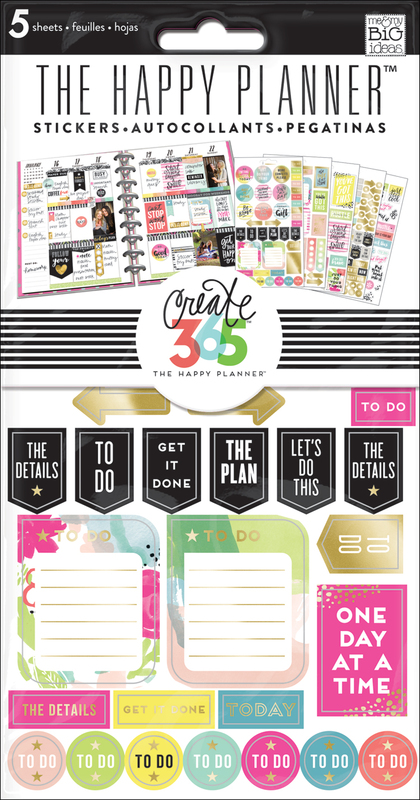 Whether you know it or not - if you are using your Happy Planner™ to plan, you've probably developed a system that works for you. Today we're sharing the system mambi Design Team member Casie Gutierrez has set in place for herself to achieve maximum productivity and organization. "As soon as I got the new stamps and highlighters, I went to work creating a bullet and color-coding system for my planner. Firstly: the black box from the stackable icon stamps is perfect for to do list making. I used the red star to denote priorities and the black exclamation marks an idea. I thought it would be fun to use the blue thumbs up to document high and low points for the week from both my perspective and my kids. They often include some funny and insightful ones! Next I used the new highlighters to create a color coding system. I always write in and carry a black pen so I am letting the highlighters do the color coding for me. Pink notes creative tasks, orange reminds me to go to work, yellow highlights an important task and each of my sons events are marks in green or blue." "After I took in all the awesomeness of the new planner goodies, I knew my Happy Planner™ Storage Case needed to be cleaned out, re-stocked, and reorganized. Inside the clear zipper side I store binder clips, notepads, pocket page cards and snap-in tabs. 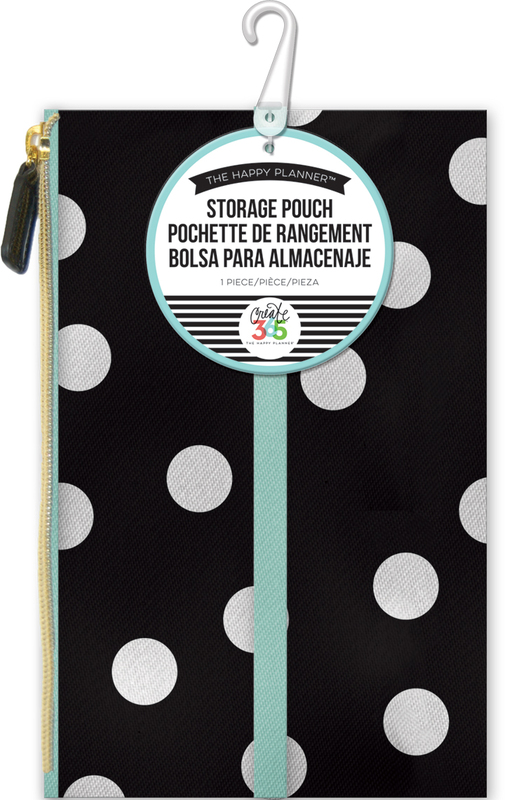 Inside the elastic slip pocket, I store sticky notes and a few packs of stickers."